The Top Retinol Creams – Who Are the Top Runners? Retinol has become one of the best ingredients for anti-aging skin care so finding the top retinol creams has become quite the obsession of mine. If it wasn’t already difficult enough with so many products to choose from, another major problem is that many skin care brands do not state the percentage of retinol in their products. This can make it even harder to determine which products will be more or less effective. This is especially problematic if you are a complete retinol virgin who is searching for the lowest strength product to ease yourself onto retinol gentle. 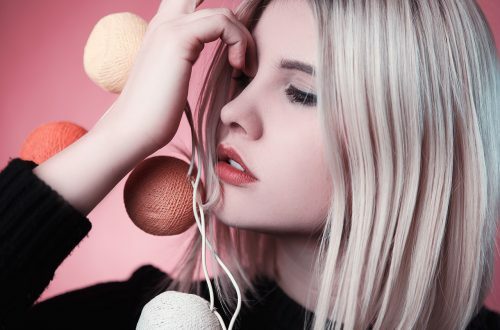 On the other side of the coin, if you’re already using a retinol product and are looking to move up to a stronger strength, this will also cause you some difficulty in making an informed decision. Another thing to keep in mind is that many products contain retinol derivatives or pro-retinol like retinyl palmitate, retinyl acetate, and retinyl linoleate. These are even gentler than regular retinol but it also means that they are much weaker too so you may not get the results you would have expected from a full retinol cream. 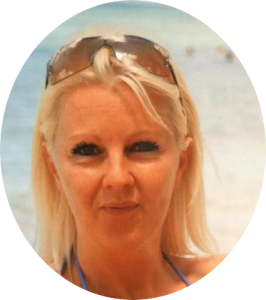 For more information on retinol and what it can do, click here. 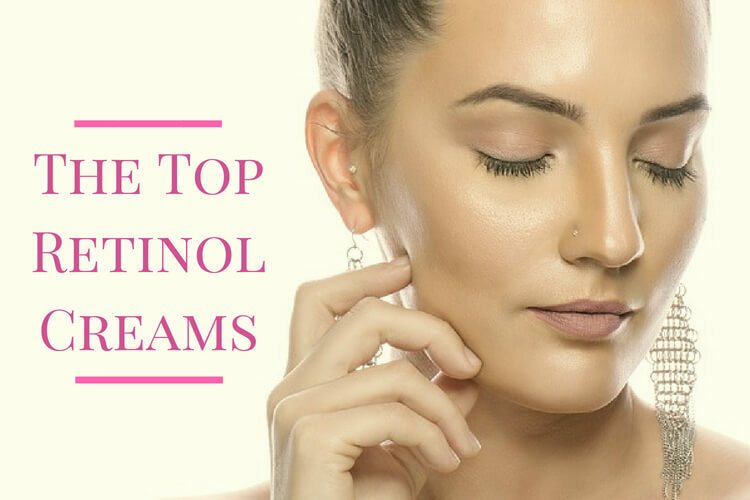 Below is a list of some of the most popular retinol products from the ones that state their retinol strength to the ones that don’t but still remain popular due to their effectiveness. 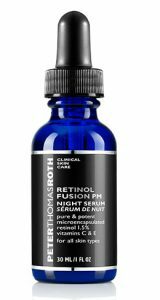 The Peter Thomas Roth Retinol Fusion PM contains 1.5% retinol and is a very popular choice that comes in the form of a serum. This particular product is extremely effective but that could be down to its higher retinol content as it actually contains a higher percentage of retinol than a lot of other over the counter products so you may want to go easy with this one. It also contains vitamin C and vitamin E which are both powerful antioxidants. The product is fragrance-free but does contain a very small amount of alcohol but not enough to cause any worry for most. 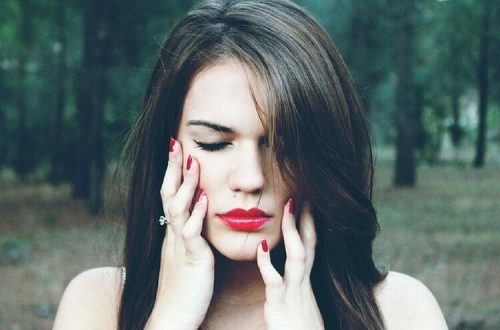 It is worth noting that as the product contains a higher percentage of retinol, this also increases the risk of possible side effects so as popular and effective as this product is, it may not be the best choice for a retinol newbie. The SkinMedica retinol complex comes in a lotion form and is pretty strong stuff for an over the counter retinol product, in fact, some say that it can achieve the same results as a prescription strength retinoid so handle this one with extreme care. It is complemented with other excellent ingredients including a great mix of antioxidants making this one another very popular choice although it is in the higher price range. 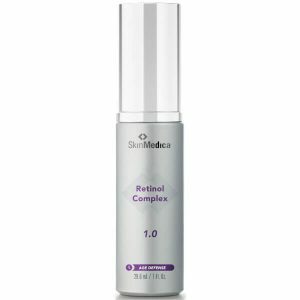 The SkinMedica retinol complex also comes in lower strengths at a 0.5 version and a 0.25 version meaning that even those just starting out with retinol can give these products a try and as and when your skin adjusts to the retinol, you can experiment with the higher strength formulas if you wish. It is also fragrance-free and comes well packaged in a pump style container for easy use. 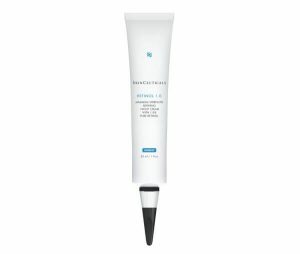 The Skinceuticals retinol cream contains 1% retinol and is another higher priced retinol product. Its effectiveness makes it another popular choice although again, it is probably not the best choice for someone new to the world of retinol. It is, however, available at the lower strength of 0.5 which may be a better option to start with. This particular product also has a name for being quite potent so just like the others mentioned above, it’s best to start off slowly with this one too unless you’re already a retinol veteran. Many people have actually claimed that this gave a better and faster result than a lot of the other retinol creams of the same strength. 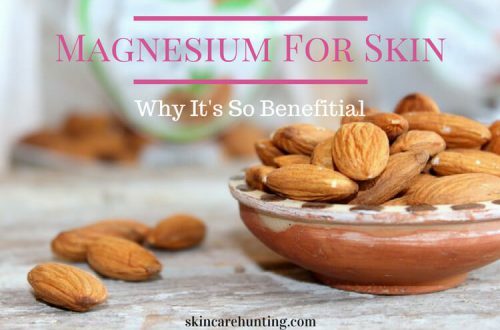 It does contain other good skin-repairing and anti-aging ingredients as well as having the words ‘maximum strength’ stated on the label which may have something to do with this. Who knows but either way it’s a potent product that works fast and gets a lot of praise for its effectiveness. 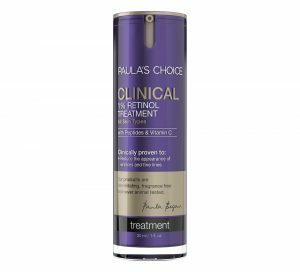 Paula’s Choice Clinical 1% Retinol Treatment contains not only a good percentage of retinol, it also contains many other beneficial ingredients including the powerful antioxidant vitamin c as well as a host of anti-irritants and peptides. As with all Paula’s Choice products, this is a well-formulated retinol that can give very good results. The formula is also fragrance-free, making it suitable for most skin types. Again, this is quite a strong over the counter product and not all skin types will be able to handle this level of retinol so start very slowly and be vigilant of how your skin reacts. If irritation persists, you may need to consider switching to a weaker strength or using less frequently. 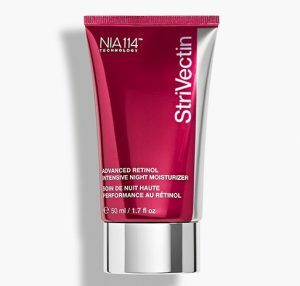 The StriVectin Advanced Retinol Night Moisturiser is another popular product that although does not state the amount of retinol it contains, still remains up there with the top runners. It contains an array of antioxidants including the very popular shea butter and resveratrol and also includes a form of niacinamide which is another popular anti-aging ingredient. It actually contains two forms of retinol, regular retinol and retinol palmitate which is a much weaker form of retinol but this doesn’t seem to have weakened its effectiveness. There are however two cons to this product, the first being its fairly expensive price although it is a larger than average tube and the second being that it contains fragrance meaning that it may be unsuitable for those with sensitive skin. Algenist Retinol Firming and Lifting Serum is another well-formulated product that contains many antioxidants, anti-aging, and skin-repairing ingredients as well as some peptides too. Again, the exact amount of retinol present is not stated but that doesn’t stop it being included with the rest of the top performing products. It does contain a small amount of fragrance but nothing that should be problematic for most people although it’s smell is somewhat stronger than most other retinol products but that does dissipate pretty quickly. All in all, this is another popular choice and although it doesn’t seem to be as potent (from an irritation point of view) as some of the others, it’s still just as effective although it is another higher priced product. For more on this particular product, you can read my full review of it here. Update: This product has since been replaced by the Algenist Elevate Advanced Retinol Serum. If you do decide to try some of the higher percentage retinol products, it is probably best to start using them only once or twice a week, to begin with, to allow your skin to adjust to them, then slowly work up to more frequent use as and when your skin can handle it. Retinol can be a seriously effective product if well formulated and used correctly. If you are a user of any of the above-mentioned products and would like to share your stories or if you use any other retinol product that you think deserves a mention, please do tell me all about it in the comments below.